RKA is pleased to welcome Austin Wessels to its architectural staff. 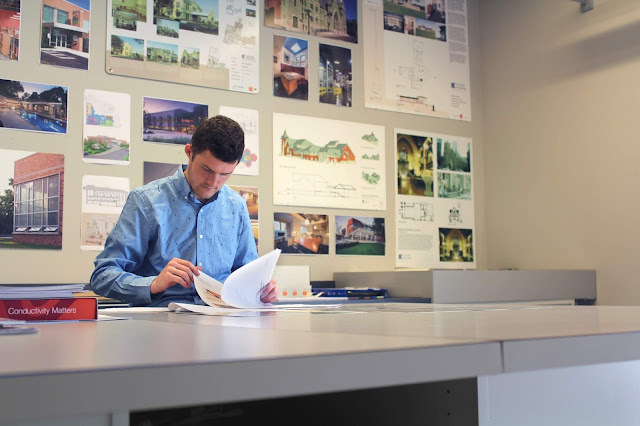 Austin earned his Bachelor of Science in Architecture from The Ohio State University in 2017 and is currently pursuing his Master of Architecture degree from OSU. He sees architecture as the opportunity to create impactful and lasting impressions on the world. His goal is to become a licensed architect, so he can one day help others recognize their dreams in a built form. In the hours not involving sleep or architecture, he can be found cheering on the Buckeyes, playing basketball or soccer, and more recently, sand volleyball during the summer months.